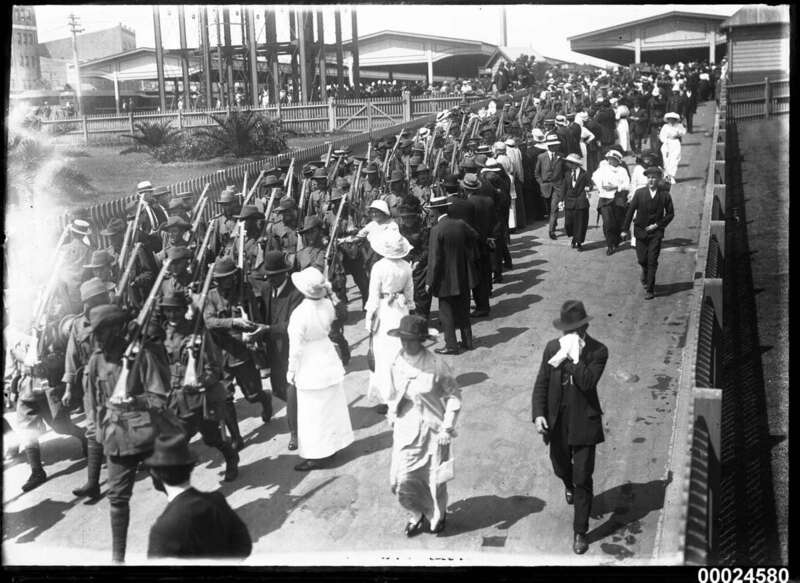 Amidst ANZAC day commemorations, Samuel J Hood’s photographs stand as a poignant pictorial record of those who served and lost their lives in World War I. 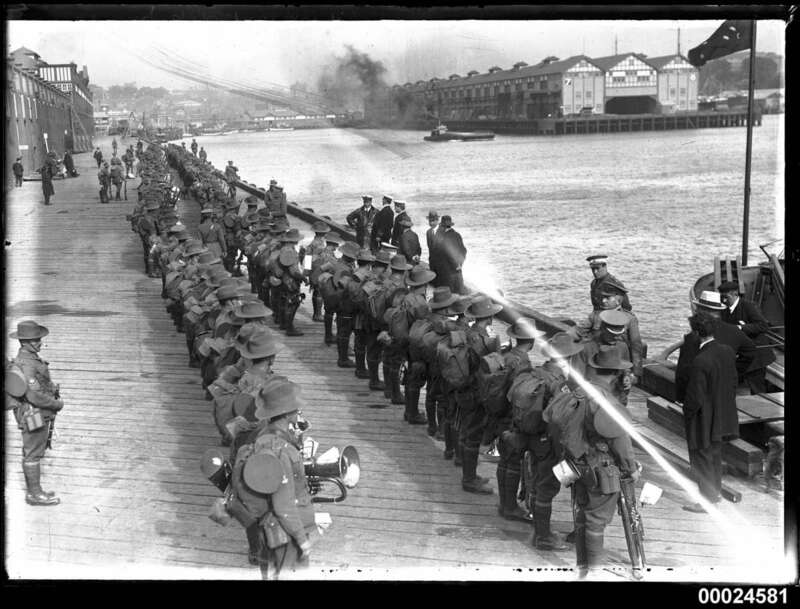 There are many photographs in the collection, however, here are some highlights depicting Australian soldiers marching the streets of Sydney. 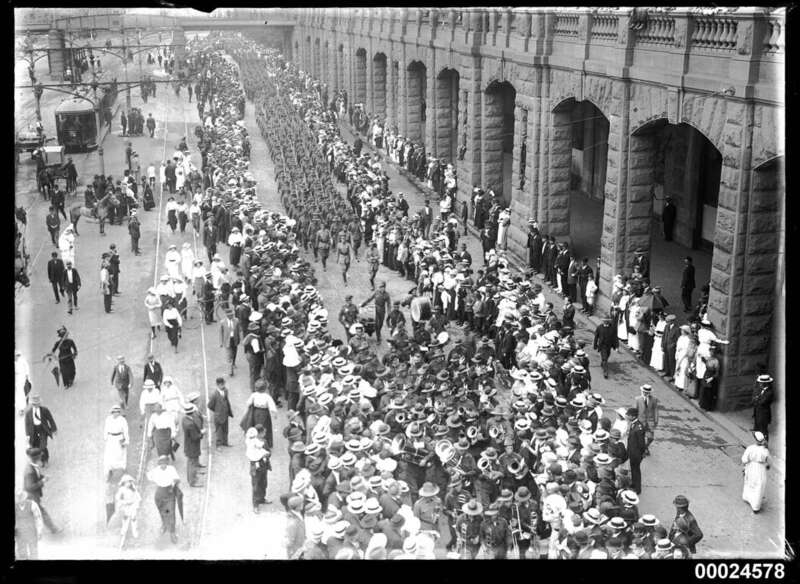 Macquarie Street, Garden Island and Central Station are featured in their former early 20th century glory, as crowds of people gather to catch a glimpse of the brave men about to set sail for war. 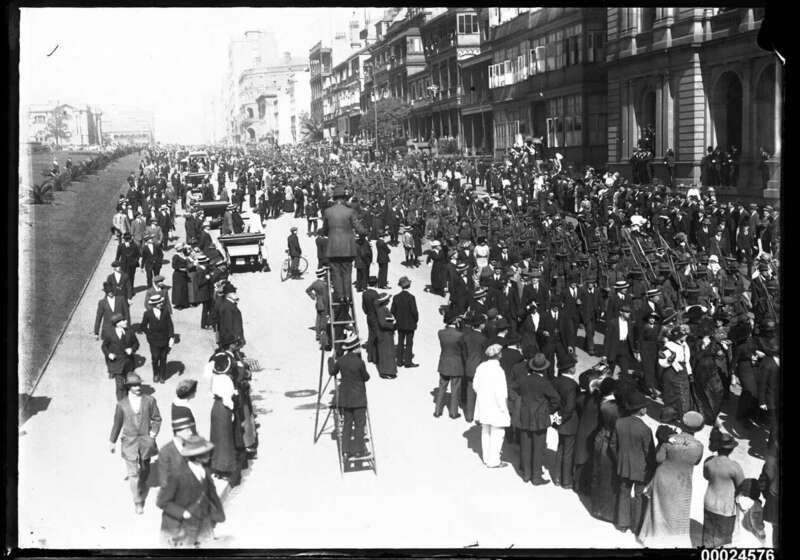 For other photographs from the same series, please visit our flickr site. 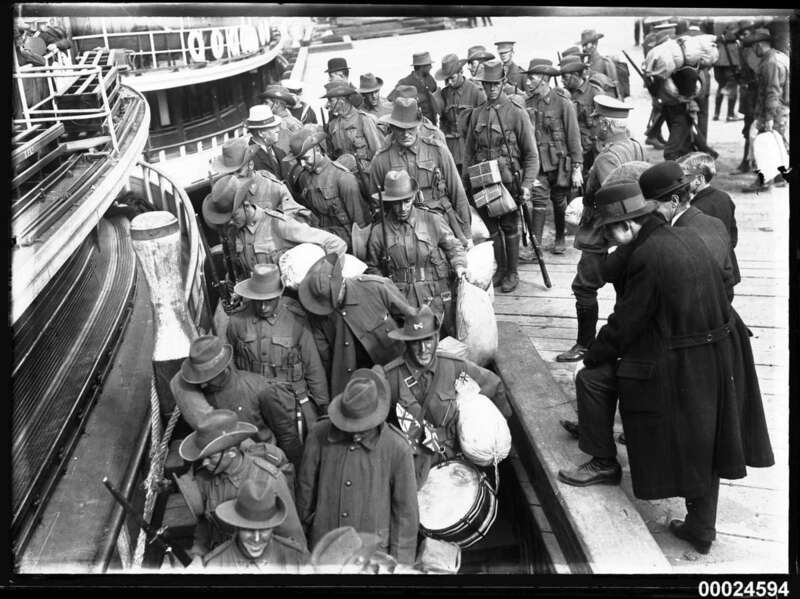 The museum offers free entry to our exhibitions and vessels to any current or former servicemen and women wearing their medals on Anzac Day (not including their guests).